A well known power supply circuit is the capacitance multiplier. It doesn’t regulate, but instead reduces ripple & noise while the output tracks at some fraction of the input voltage. The R1/R2 voltage divider determines VOUT (a VBE below VB), and must be chosen to account for the maximum ripple on the minimum VIN. 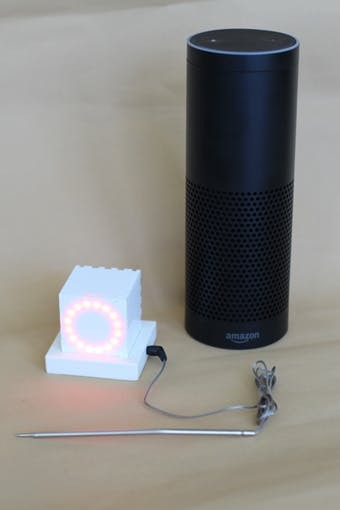 If VIN is regulated, the circuit can be used purely for low-level noise reduction. In this case, only one resistor is needed if you want to minimize the drop. The effect of the filter capacitor is said to be multiplied by the transistor’s beta. With higher output currents though, this can lead to large capacitors, and more dissipation in the resistive divider than you might want, since sufficient base current must be supplied. Darlington transistors can help here, at the expense of a greater “dropout” voltage. This Design Idea demonstrates an alternative approach to the capacitance multiplier (I expect it’s been done before (perhaps even before I designed my version ca. 1983), but searching revealed no antecedents). 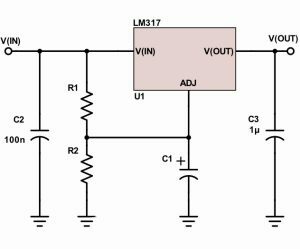 The circuit “reverses” the standard hookup of the LM317 adjustable regulator. 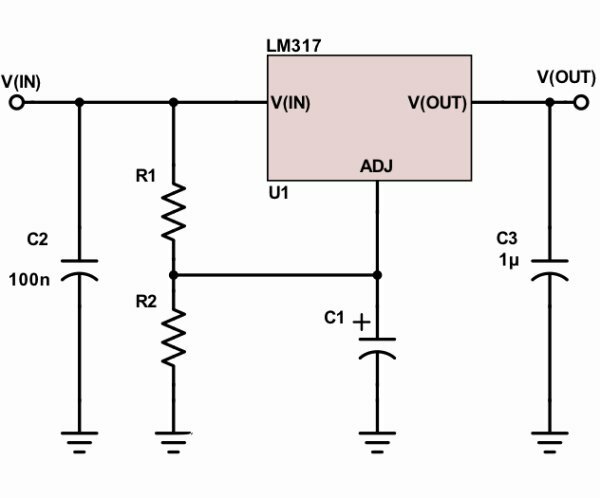 Normally, the ADJ pin connects to a voltage divider on VOUT, and the LM317 regulates VOUT by keeping it 1.25V above VADJ. If there’s ripple/noise on VIN, use the average voltage in the formula. Note that the 317 has a 3V dropout voltage, so VOUT must be lower than 3V below the lowest voltage on VIN (including any ripple). Also keep in mind that VOUT‘s minimum load is 10mA; and that there can be up to 100µA of bias current through the ADJ pin (sourced from VIN), so R1||R2 shouldn’t be too high. Admittedly, there are better ways to accomplish the function described here, but I thought this worth sharing. Use as-is, or improve it to your liking. I used this design back in the day to clean up a poorly regulated and noisy switcher output, at the same time, reducing the voltage. The supply fed a CRT display which had previously been plagued by visual grunge.